Yep, i cut my hair (you're already aware if you follow me on instagram). I've had my lid hovering between my chin and a tad below my shoulders for the past 5 years -- as we learned thanks to my embarrassing timeline diagram -- but I'd gotten so lazy with it these past 12 months that it actually got to a point where it was long. I cannot stand having long hair. 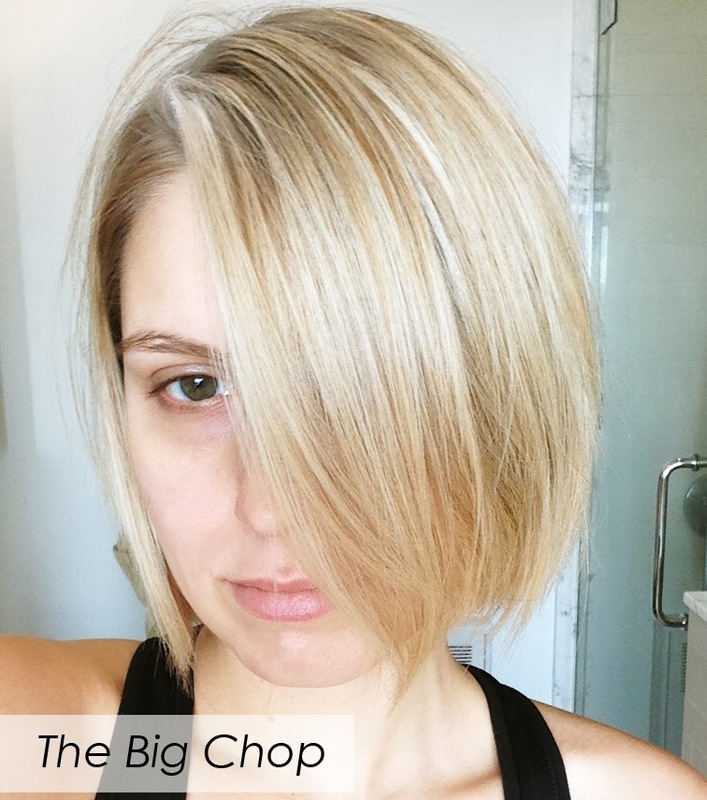 With the arrival of the new year, a change needed to happen -- I had to chop it. Voilà. What's your hair length? Have you ever had some crazy hair moments? Wearing: H&M sweater (similar) & BaubleBar earrings. I love it! Sometimes a good chop is all you need to change your whole attitude. I agree with Elissa ^^! It brings out all your stunning features. Such a great length on you, your colour IS amazing, and this hairstyle just elevates your personal aesthetic style to a whole next level. You look...model worthy ;) <3. Your hairstyle looks beautifully, really suits you! You got a follower more. When I saw this on Instagram I was like :OOOO! It couldn't suit you more!! So effortlessly chic. I've actually been contemplated having the chop (though nowhere near as short as this) but I just can't seem to 'jump'. This might be the push I need?! P.S. Thank you tons for you wonderful comment on my recent post :) had me smiling ear to ear! I want to have a change in my haircut.It's been the same for like 3 years!?! But I think I'll look ridiculous in short hair! Nice haircut! I was thinking about cutting my hair in a similar way, but I don't think my heart will ever let me cut my hair. gorgeous!! i love short hair!! You look so amazing with short hair! I am a big fan of a chic bob. I was trying to grow my hair but I decided to stick to the short length. Im getting my hair done next week. I am thinking of chopping it to my jaw line. It looks great on you!